In the television series VICTORIA, Mr. Francatelli had a relationship and married Nancy Skerrett, known as Mrs. Skerrett, who was the Queen’s dresser. She was a young woman with a sketchy past who tragically died young. In real life, Miss Marianne Skerrett rose to be the Queen’s principle dresser, and was with Queen Victoria for twenty-five years. You can see multiple images of Miss Skerrett on the Royal Collections Trust Website. One can be found HERE. 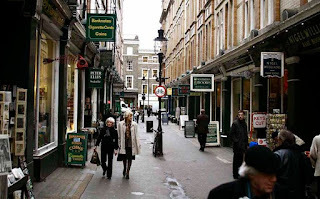 Miss Skerrett was born about 1793 in London; she was baptized in St Martin-in-the-Fields. Her parents were Walter Frye Skerrett and Albinia Mathias Skerrett. Walter had links to the West Indies (including Antigua, Barbados, Bermuda, Montserrat and what is now Guyana), and was a slave owner. He was born in 1762, possibly in Liverpool. 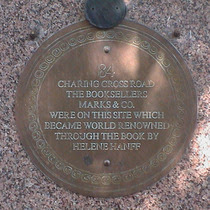 By 1791, he was in London where he married Albinia Mathias in that year in St.-Martin-in-the-Fields Church. Albinia, who had been born about 1760, was a friend of Charlotte Burney (a sister of author Fanny Burney). There are indications that Mr. Skerrett had been a colonel in the British Army during the Peninsular Wars, and that he was mentioned in William Francis Napier in his HISTORY OF THE WAR IN THE PENINSULA. However, in Napier’s book, the colonel in question is named only as “Colonel Skerrett”, and there is no indication of Walter Frye Skerrett or a W. F. Skerrett or even W. Skerrett in the London Gazette or other sources that military appointments, promotions etc. are mentioned. (It seems likely that the Colonel Skerrett in Napier’s book was actually John Skerrett. There are a couple of other Skerretts who made rank as well.) It seems unlikely that Walter Frye Skerrett served in the British Army. However, records indicate he was very active in litigation as there are numerous court cases in which he was involved relating to business matters in the West Indies. 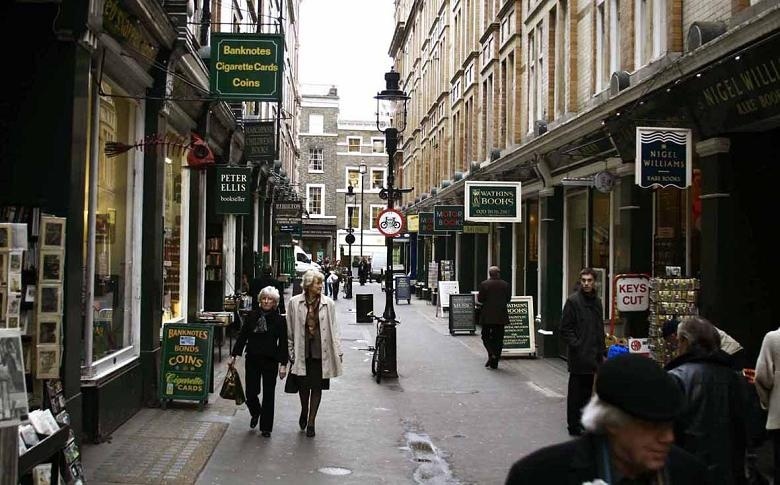 It appears he may have owned a business in London, as one of these cases refers potential litigants to his representatives in the West Indies or to W. F. Skerrett and Co. in London. Walter Frye Skerrett died January 27, 1828. Marianne was the older daughter born to Walter and Albinia. 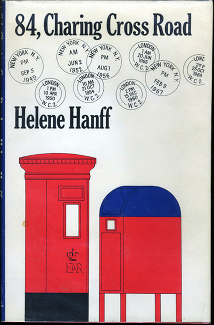 A second daughter, Henrietta, was born in London about 1796. So far, I have found no information about Miss Skerrett’s childhood or youth, including her education. However, it is reasonable to assume that it was respectable, and that she received some form of education. 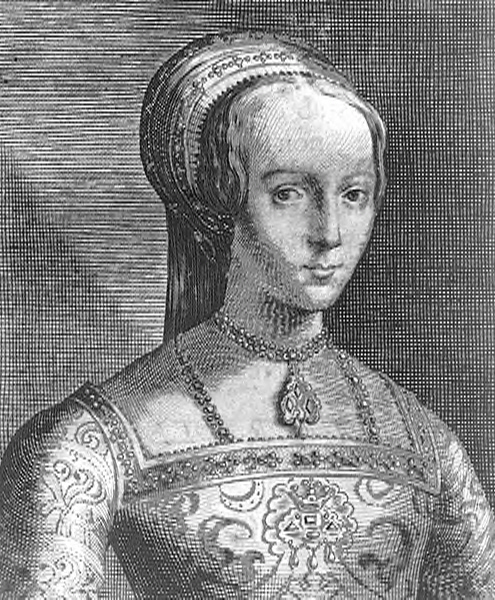 Multiple descriptions of Marianne indicate she was intelligent, well-read, and fluent in multiple languages (Danish, French and German). Additionally, artist John Callcott Horsley, in his RECOLLECTIONS OF A ROYAL ACADEMICIAN, described Marianne Skerrett as small (under five feet tall), thin, plain and a devout Christian. In 1837, at approximately age 44, Marianne Skerrett was appointed head dresser with the care of jewelry. Data indicates that Laura Petty FitzMaurice, Marchioness of Lansdowne (principal Lady of the Bedchamber from August 1837 to September 1838) recommended Miss Skerrett to the queen. (There are indications that the Lansdowne family was also known to the Burney family.) This appointment put Marianne Skerrett in the Queen’s household at the time of Victoria’s coronation on June 28, 1838, so (in her capacity as head dresser with the care of jewelry) it is very likely that Miss Skerrett would have been involved in the preparations for that event. Marianne Skerrett became head dresser and wardrobe woman. Available information suggests she was in that position about 1841. Her duties included ordering the Queen’s clothes and accessories, maintaining the wardrobe accounts, supervising hairdressers, seamstresses and others involved with the Queen’s wardrobe and appearance. In September of 1842, when Victoria’s former governess Baroness Louise Lehzen finally retired from the Queen’s household and left for Germany, Miss Skerrett took on some of Lehzen’s duties in addition to her own. These additional duties included acting as a personal secretary to the Queen, in that Miss Skerrett wrote to tradesmen, commissioned artists and engravers, responded to solicitations for assistance from former servants, paid the bills incurred for creating and maintaining the Queen’s wardrobe, and wrote recommendations for other dressers and maids, all on the Queen’s behalf. Miss Skerrett may also have written some of the Queen’s personal correspondence to various family members on Victoria’s behalf. She also assisted Victoria with her etchings. In the years that Miss Skerrett was in Victoria’s household, she became a fixture on whom the Queen and other members of the household relied to get things done. On February 1, 1847, Miss Skerrett even testified at court against a man named Francis Olifieres who had been indicted for stealing jewelry in 1845, in the course of which theft he alleged a connection to the royal household. Miss Skerrett’s brief testimony established that Mr. Olifieres had had one commission for the royal household in 1842, had had no interview with the Queen and had not been employed in the royal household. After other testimony, Mr. Olifieres was determined to be guilty and sentenced to be transported. The time finally came when Marianne Skerrett was ready to resume life outside of the royal household. 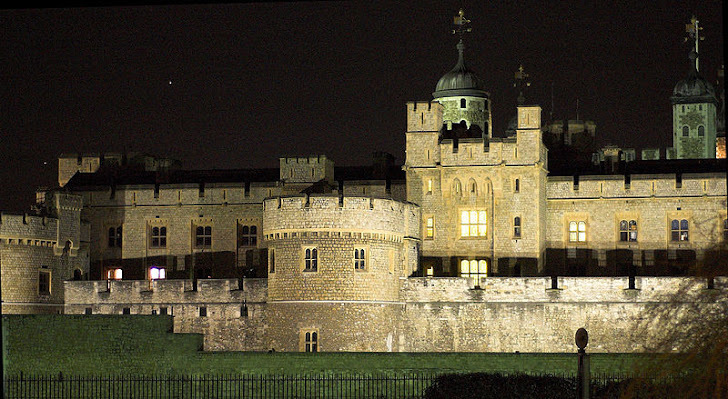 She retired from the Queen’s service in 1862 at the age of 69, and was given a pension of 70 pounds. She went to live with her sister in Marylebone in London, where she apparently lived until her death July 29, 1887. During her retirement, she remained in contact with Queen Victoria through letters and visits. Aged about 94 years at her death, Miss Skerrett left an estate valued at over 5000 pounds, and a will which was probated on October 8, 1887. She left Queen Victoria a painting by William Hogarth called The Popple and Ashley Families, which was a painting of a Bermuda family that showed Miss Skerrett’s grandmother as a child. 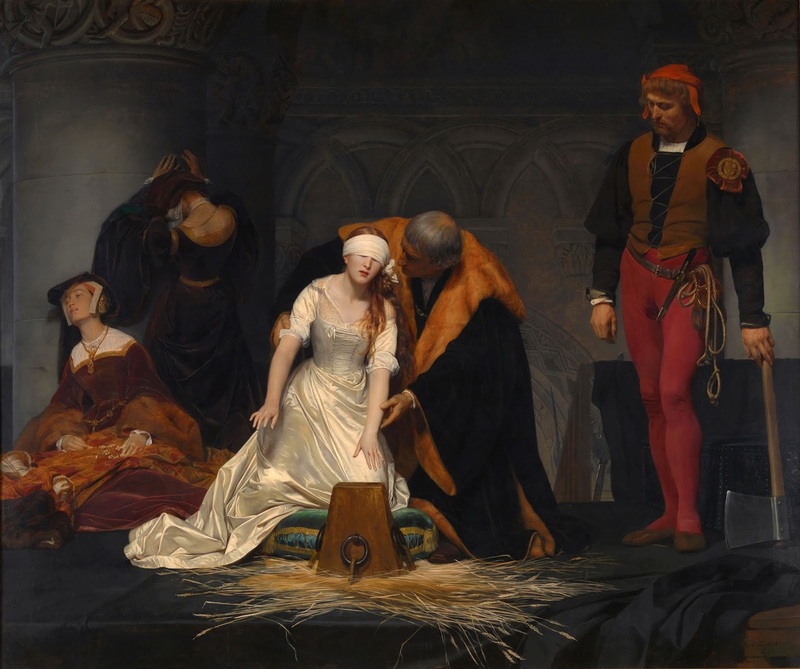 This painting is still part of the royal collection and you can see it HERE. A special thank you to Dr. Jacqueline Reiter, who steered me to the London Gazette and the Annual Army lists at the National Archives regarding Walter Frye Skerrett’s Army service. She was also gracious enough to check data in her own possession. Lauren Gilbert is the author of HEYERWOOD: A Novel. 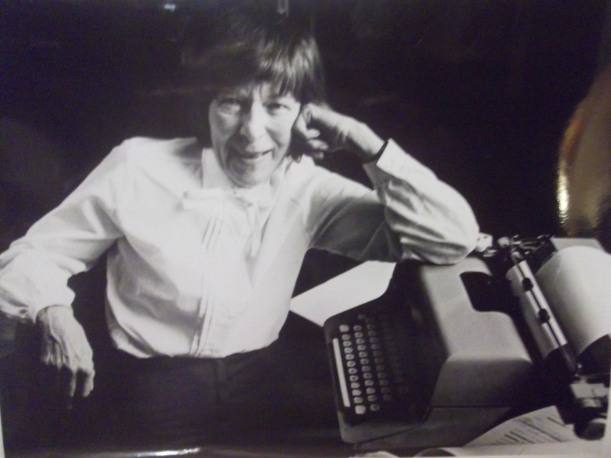 A long-time member of the Jane Austen Society of North America and life-long reader of history and historical novels, she has a Bachelor of Arts in English with a minor in Art History. She lives in Florida with her husband, where she is working on her second novel A RATIONAL ATTACHMENT, to be released this year and the research for a biography. Visit her website HERE for more information. 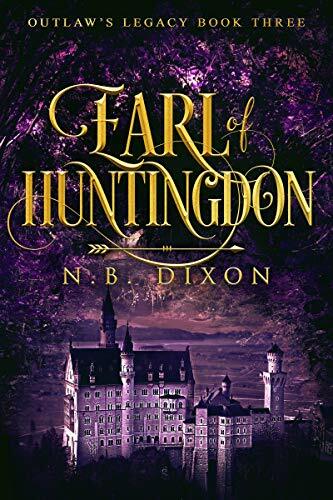 Sir Roger of Doncaster, an enemy from Robin's crusading days, is back in England and determined to take Huntingdon for his own. Caught in a desperate struggle for survival, Robin's only solace is Will Scathelock, the man he has loved and resisted for years. Surrendering would be easy, but the stakes have never been higher. Roger has the might of King John behind him, and he will not rest until Robin is dead. Win or lose, Robin's life will never be the same. Most of us are familiar with the portraits of Margaret Beaufort. 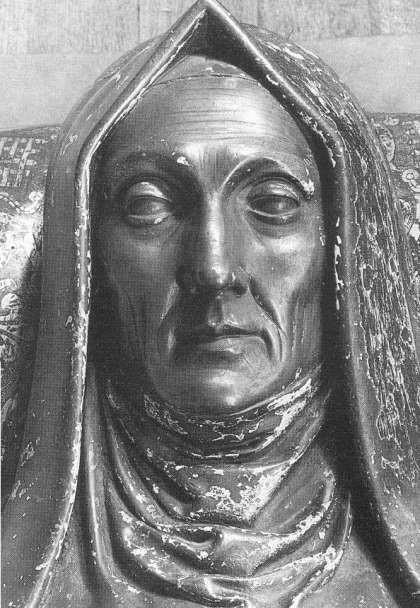 Invariably she is depicted toward the end of her life, elderly, austere, and pious. It is difficult to imagine this staid, nun-like woman as a gurgling baby, or a naughty child; even less as a vigorous young woman. But people, even Countesses, are not born pious. Her face must once have been unlined, she may have been frivolous, perhaps even reckless. 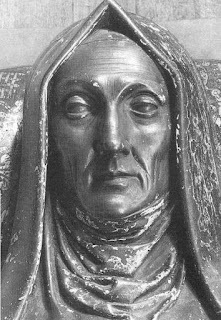 She was certainly determined; her crusade to secure her son Henry VII on the English throne involved intrigue against a reigning monarch. Against all odds, she financed her son’s campaign and in doing so, changed her life forever. With Henry’s accession to the throne, she became the most powerful woman in the realm, and she did not waste her new-found success but became one of Henry’s chief advisors, her charitable work extending to the foundation of universities, and championing the arts. The portraits we see today are not contemporary. Without exception, she is depicted in her later year, clothed in a peaked white headdress, usually with a book, and always in the act of religious contemplation with an aura of chastity and charity. Of course, portraits are not always about the subject’s appearance; sometimes a painting depicts a person’s character rather than how large the sitter’s nose may have been. 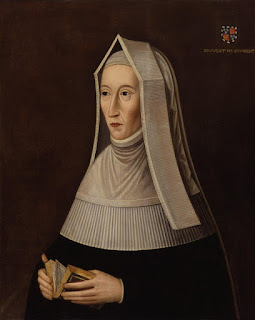 Margaret, in her exalted position, would have been keen to project an authoritative, reverent persona but she evolved into a nun-like figure, as a young woman she would have suffered all the uncertainties, the passions and the flaws that we all experience. That is the Margaret made more fascinating simply because of the lack of portraiture from the uncertain days of her youth. There are no extant portraits of Margaret from her lifetime, the ones we see today were made during the reigns of Henry VIII and Elizabeth I. Undoubtedly they are copies of a lost original so, particularly if we compare them to the effigy on her tomb at Westminster, we can be fairly sure of her appearance during the later years of her life. This portrait of Margaret is believed to have been part of a set of corridor portraits including Henry VII, Henry VIII, commissioned during the reign of Elizabeth I. Again Margaret is in a religious pose, her clothing and book of hours illustrating her religious devotion. It is the best-preserved portrait we have of Margaret, the detail of the golden arch beneath which she sits, and the ornamented cloth of state is still visible to the naked eye. 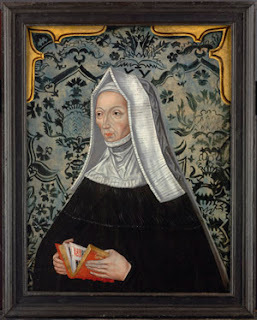 My personal favourite portrait of Lady Margaret hangs in St John’s College in Cambridge. It was painted by Rowland Lockey in the 16th century. 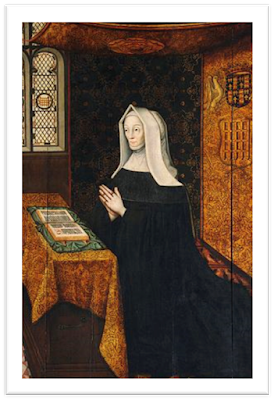 Margaret is shown at prayer in a lavish apartment, presumably her private chamber. She kneels at a desk with a heavy embroidered cloth and before her is a prayer book, a sign of piety and learning, and beneath it the ‘chemise’ cover she wrapped it in. 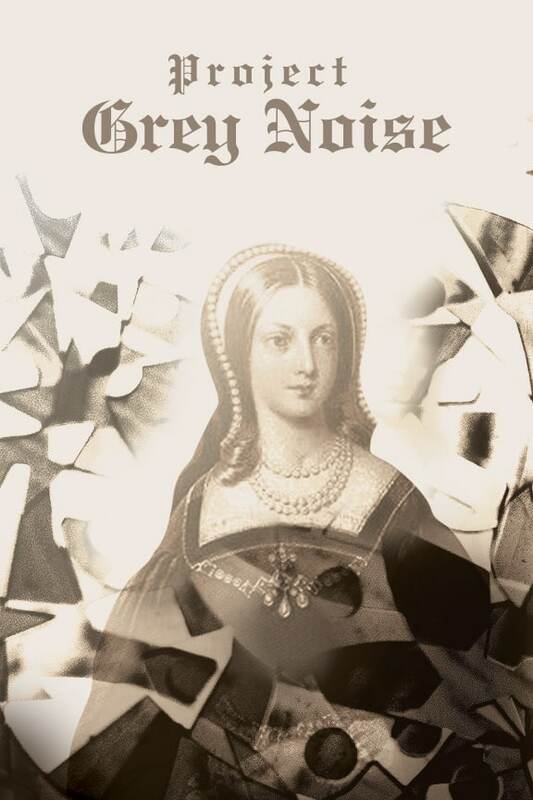 Above her head, a tester bears the Tudor rose. The chamber itself is sumptuous, testament to her love of comfort, the stained glass windows with the badge of the Beauforts and of England. This portrait tells us more about her lifestyle than the others. We can see that despite her sombre attitude, she lived luxuriously, as one would expect. Her dark clothes, although quite dour to our modern eyes, were of the best quality, black being among the most expensive and difficult hues to buy. So, a new Margaret begins to emerge, a woman who favoured scarlet and ermine, whose ‘chariot men wore scarlet. The very buttons of the horse harness were of gold of Venice.' This speaks less of piety and very much of majesty, perhaps even a little vanity. The National Portrait Gallery has a portrait previously thought to be Margaret but now largely dismissed. It features a younger woman, hands clasped in pious prayer, her head covered with a veil. The painting is dark but the gown appears to be dark red, the veil itself lavishly embroidered. 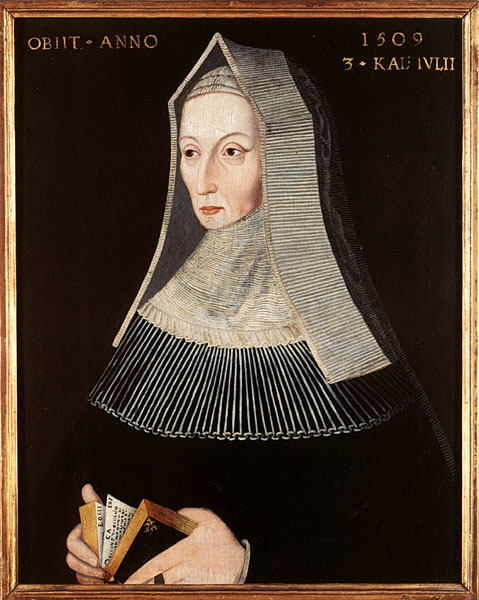 The nose is long and heavy, the eyes heavily lidded, as Margaret is shown in other portraits, and the face is pensive. Whether the sitter is lost in religious contemplation or distracted by plots of rebellion, it is difficult to judge. 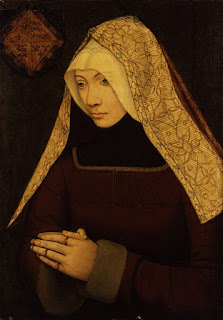 As I said earlier, the portrait is no longer believed to represent Margaret but it is intriguing none the less and I confess I used it during my research to picture the younger Margaret, the young woman who, widowed three times and separated from her only son, had no notion of the triumphs the future held. 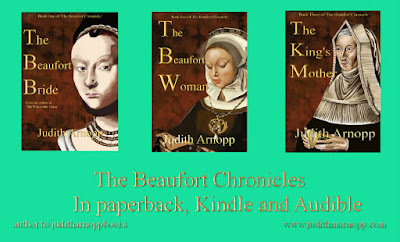 Judith Arnopp is the author of eleven historical fiction novels including The Beaufort Chronicle: the life of Lady Margaret Beaufort. Connect with Judith at https://author.to/juditharnoppbooks. Judith's books are available through Amazon including The Beaufort Bride, The Beaufort Woman: Book Two of the Beaufort Chronicles, and The King's Mother: Book Three of the Beaufort Chronicles. 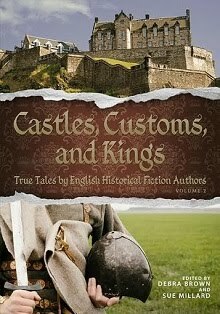 Enjoy this Editor's Choice from the English Historical Fiction Authors archives. 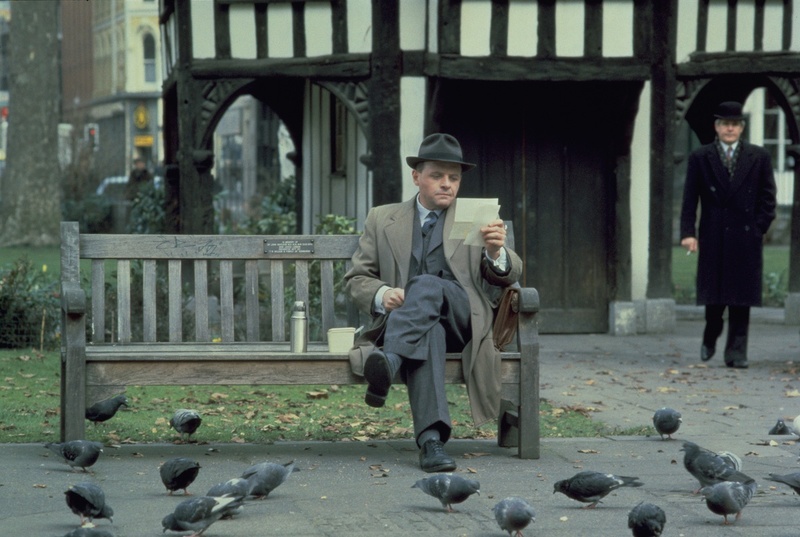 Every week our contributing authors tell of saints or sinners, politics or war. 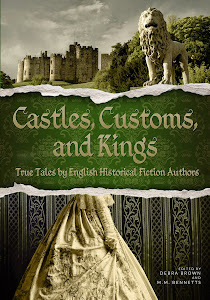 Read about kings and queens, the common people, and legends from ancient to post-WWII. Never miss a post - follow us on Facebook, Twitter, or subscribe via email. On the 22nd of February in 1797 the UK mainland was invaded by soldiers of a foreign enemy. The attack would fall on Fishguard in Wales. This would be the last time that Britain was invaded (although British held Ireland would be invaded again a year or two later). After France declared war on Britain in 1793 a plan was conceived to attack Ireland. 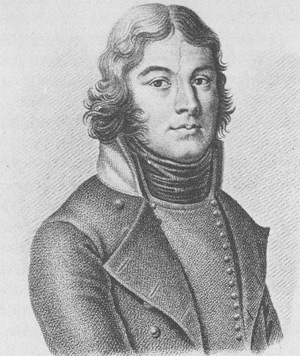 The idea was that of General Hoche. He believed that a landing by a strong force of 15,000 would lead to a widespread uprising by the Irish who had been under British rule since Cromwell's war of over 150 years before. However it was likely that the British would react swiftly and send troops to Ireland to suppress this uprising. So to prevent this happening Hoche organised two other small expeditions. One would head to the Northeast of England and march across to Lancashire. The other would land in either south or North Wales. It was hoped that in both cases the working class would rise up in revolutionary zeal. The Irish invasion goes wrong. Hoche's main force set sail in December 1796 but almost at once it got into trouble. Severe storms scattered the fleet and the remnants limped back to Brest harbour. A similar fate occurred to the force destined for the North east. But what of the third force. What of the Welsh expedition? In Command - an American. It was an Irish-American, Colonel William Tate, from South Carolina, who was given command of the Expeditionary Force. He was a veteran of the War of Independence but had fled to France after his involvement in a failed attempt to capture New Orleans. He commanded La Seconde Legion des Francs or "The Black Legion"named after their dark brown/black uniforms. 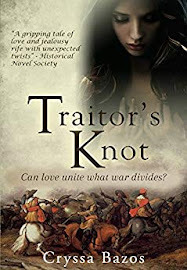 The force consisted of 600 regular troops and another 800 men in a sort of penal regiment of deserters, convicts and Royalist prisoners of dubious loyalty. 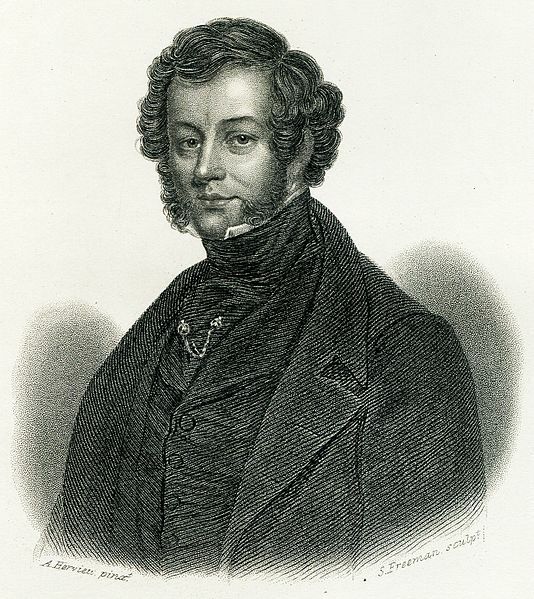 Commodore Castagnier commanded the French Fleet which consisted of four warships of good quality. The fleet flew the British flag but this ruse was seen through as the fleet sailed up the Bristol channel and alarm was raised. 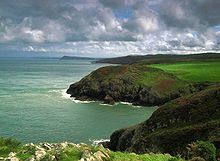 The initial target of Bristol was abandoned as tides were too strong so the Fleet sailed round to their second choice at Cardigan Bay, on the west coast of Wales. 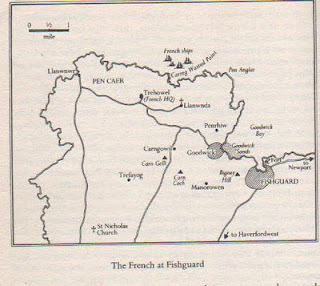 At first a scouting ship from the French fleet tried to sail into Fishguard Harbour but gun fire from Fishguard Fort forced the vessel to turn around. Tate ordered the landing to be at Carregwastad Head three miles from Fishguard. The landings started on the 22nd February 1797. Tate advanced inland, captured a number of farms and set up his HQ at Trehowel Farm on the Llanwnda Peninsula about a mile from their landing site as well as taking the high ground at Garnwnda and Carngelli, which gave him an unobstructed view of the surrounding countryside. Things appeared to be going well for Tate. However whilst his regular troops were behaving well and had a good position, the 800 men of the penal regiment deserted in droves, found wine in the various farms and got drunk and would take no part in any battle. Some of them broke into St Nicholas church away to the south and burned bibles. The Welsh inhabitants were outraged by the French pillaging and louting and started attacking Tate's men. 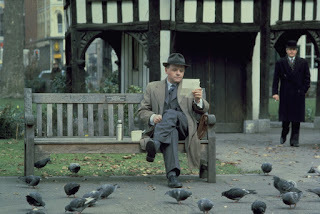 Tate had hoped the Welsh would rise up to throw off perceived English oppression but instead he found that his men were being picked off if they wandered about in small groups. Local landowner William Knox had raised the Fishguard & Newport Volunteer Infantry in 1794 and placed his own son Thomas Knox in command of the four companies totalling 300 men. The younger Knox had bought his commission and had no combat experience. When learning of the invasion Colonel Knox ordered the regiment to muster and set off towards Fishguard from Newport. In addition 200 men of the local Cardiganshire Militia were already mustered at Haverfordwest having been on an exercise and so their commander, Colby also prepared to march towards Fishguard. Meanwhile word was sent to Lord Cawdor, who commanded the Pembroke Yeomanry Cavalry which was stationed thirty miles away at Stackpole Court. On learning of the invasion Cawdor set off, linked up with Colby, assumed command and together the force moved towards Fishguard. Knox, meanwhile had sent word to Colby of his intention to attack the French on 23 February if he was not heavily outnumbered. Unfortunately for Knox, a hundred men had still not arrived and as far as he could tell the French numbers getting on towards 1500 men (he did not know that the penal regiment was running away) and so he decided to retreat. Knox came across Cawdor and Colby eight miles south of Fishguard at 1:30 p.m. Despite Knox's protests Cawdor assumed command and led the combined force back towards Fishguard. Cawdor set up his HQ in this pub. Cawdor arrived in Fishguard during the afternoon and set up his headquarters on Fishguard Square. Despite the French desertions Tate still had over 800 men and cannons at his disposal and actually still outnumbered Cawdor's men. But Tate could see that the situation was not good for him. He had now recieved word that his naval support had withdrawn (having themesleves become aware of Royal Navy vessels closing in. With half his force deserting and a substantial body of enemy getting ready to engage him AND with the hoped for Welsh uprising not having materialised, it was clear that this expedition was ultimately doomed. Tate sent two officers to negotiate with Cawdor, hoping to be allowed to withdraw. Cawdor bluffed that his forces were superior and demanded unconditional surrender of the French forces. He ordered Tate to assemble on Goodwick Sands by 10 a.m. on the 24th or he would attack. The following morning the British lined up on the sands whilst above them the local townsfolk assembled, many wearing their national dress of tall black hats. It is possible that some of the French thought that the Welsh Women were in fact Grenadier guards as from a distance that mistake might be made. 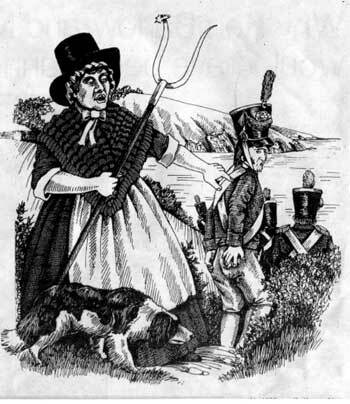 Indeed a local woman, Jemima Nicholas became famous that day as she advanced down to the sands with a pitch fork and persuaded 19 French soldiers to surrender! Tate tried to delay but eventually accepted the terms of the unconditional surrender and ordered his men to march in and pile their weapons. By 4pm it was all over and the French were being marched away to captivity. Two of the four French ships were captured in an engagement with the Royal navy and the other two made it back to France. Tate's captivity was brief as in 1798 he and most of his little army was exchanged with British prisoners and sent back to France. In 1853 the Pembroke Yeomanry, despite the almost non existant battle, gained the battle honour 'Fishguard.' and is unique in being the only regiment in the British Army, that bears the name of an engagement on British soil. 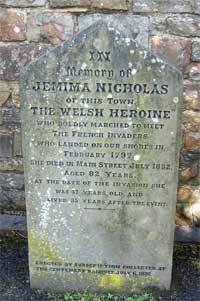 After her death a memorial was raised for Jemima Nicholas, the lady who confronted the French invader armed only with a pitchfork! 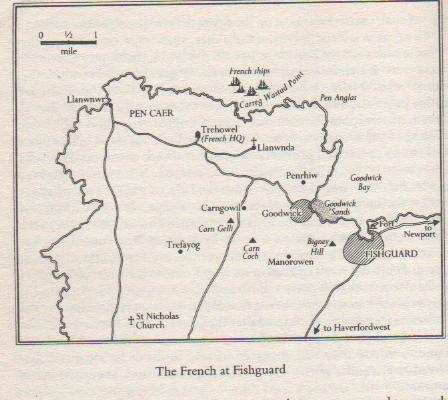 In my time travel novel Yesterday's Treasures, Tom sees an alternate version of history where the invasion is a success and North Wales is in French hands. Bringing his camera with him he had strolled along the battlements stopping every so often to take a photo of a cannon, the fort, Anglesey across the bay in one direction and the distant mountains in the other. On the top of the fort a Union Flag fluttered in the breeze and he snapped that. Then he checked the image in the small screen on the back. What he saw when it came into view made him stare in amazement. "Uh?" he muttered as he studied the picture, which clearly showed a flagpole with a flag hanging on the top. However, this was not the familiar red and blue crosses on a white background that he expected to see, but an altogether different flag: one with three broad stripes of red, white and blue. It was the tricolour of France! He peered up at the standard that flapped about in the gentle wind coming in off the Irish Sea. It was, without a doubt, still the Union Flag. Baffled, he turned his head to glance around the fort, but he could not see a second flagpole anywhere nearby. "That's stupid!" he muttered. Then he slapped his forehead and smiled. This image was obviously an earlier photo left on the memory card from another day. He checked the image date and time and then frowned when he saw that the date it recorded was today and it had been taken only a few minutes before. Shaking his head, he looked back at the flagpole and gaped as he now saw the French flag up there, where moments before he was certain it had been the British one. Behind him he heard footsteps coming closer, so he looked around but there was no one in sight. As he stood and stared at the empty battlements he felt something brush past his right arm and heard the footsteps pass on by. 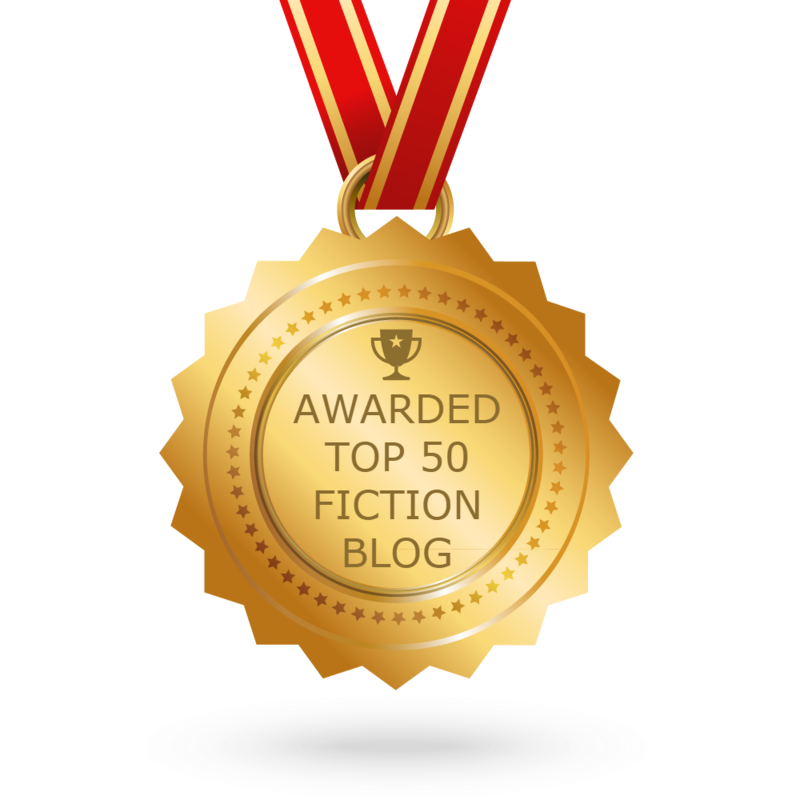 An Editor's Choice from the EHFA Archives. Originally published on February 21, 2012. 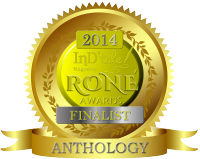 Richard Denning is an historical fiction author whose main period of interest is the Early Anglo-Saxon Era. 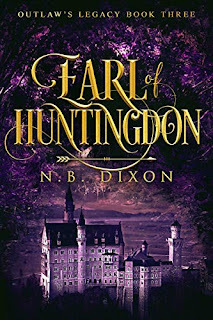 His Northern Crown series explores the late 6th and early 7th centuries through the eyes of a young Saxon lord. Explore the darkest years of the dark ages with Cerdic.